"Artificial intelligence (AI) deserves the same treatment Hadoop and other big data technologies have received lately. If the industry is trying to balance the hype around big data-oriented products, it has to make sure not to overhype the arrival of AI. This is not to suggest that AI has no place in current and future-looking big data projects, just that we are not at a point in time yet where we can reliably turn business decision-making processes over entirely to machines. Instead, in 2018 the industry will begin to modernize BI with machine assistance rather than AI-driven tasks. Think of it as power steering versus self-driving cars. Business users will get more direction on how to gain better insights faster, as they don't need to be told what the right insights are. We're so enamored by the idea of AI, but the reality is it's not ready to act on its own in the context of analyzing data for business users. In modernizing BI, we'll also start to see a shift in which organizations will bring BI to the data. BI and big data have hit a bit of a brick wall. Companies have spent a lot of money on their data infrastructures, but many are left wondering why they have to wait so long for their reports. Part of the problem is that companies are capturing their data in a data lake built on a technology like Hadoop, but they are not taking full advantage of the power of the data lake. Rather than ideally moving operations to the data, businesses move data from the lake to external BI-specific environments. This process of "moving data to the compute" adds significant overhead to the analytics lifecycle and introduces trade-offs around agility, scale, and data granularity. Next year and moving forward, we'll start to see more companies bringing the processing to the data, a core tenet of Hadoop and data lakes, with respect to their BI workloads. This will speed the time to insight and improve the ROI companies see on their big data infrastructure investments." 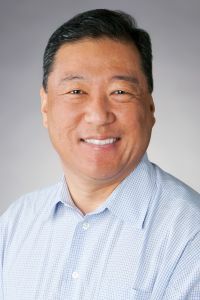 Dale Kim is the senior director of products/solutions at Arcadia Data. His background includes a variety of technical and management roles at information technology companies. 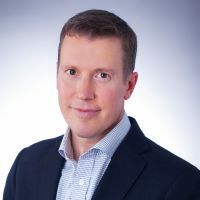 While Dale's experience includes work with relational databases, much of his career pertains to nonrelational data in the areas of search, content management, NoSQL, and Hadoop/Spark, and includes senior roles in technical marketing, sales engineering, and support engineering. Dale holds an MBA from Santa Clara University, and a BA in computer science from Berkeley.